Maybe you bought your cellphone mount in a gas station for $7. You needed it for a road trip, you mounted on the air conditioning vent on your dashboard and you’ve had it for years. But is it any good? Nick Guy of product review site Wirecutter reviewed 60 mounts to determine which work best. Vent mounts: They wedge between air conditioning slats. Dash or window mounts: These use suction or adhesive to mount to your windshield or dash. Be aware that in 27 states it is illegal to mount a cellphone to the glass but you may be able to mount to the dash in other states. CD slot mounts: These slide into a CD slot and latch on with a triggered hook. Many cars now don’t have CD players so these may or may not be an option. Nick and I went to the New Jersey Motorsports Park to get extreme with his favorite mounts on a closed track. With our rented Minivan we mounted our phones in Wirecutter’s top pick. For vent-, dash- and CD-mounted holders, Nick’s No. 1 choice is from a company called iOttie. They cost $20 for the CD and vent mounts, and $25 for the dash/windshield mount. (Note: Like other websites, Wirecutter does get a percentage of money from retailers of phone mounts when products are sold through links on its site). 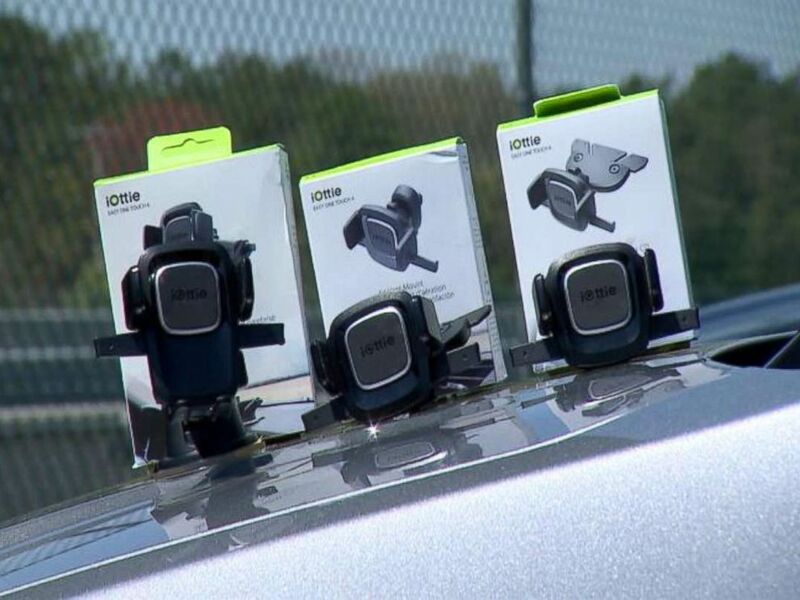 Cell phone mounts for your car from the company iOttie are photographed here. Despite our aggressive, acceleration, braking and swerving, the mounts did not budge. Grips for a vent mount should be adjustable: Fixed grips tend to come loose and work in fewer car models. Mounts that have awkward release mechanisms to get the phone out of the holder: Nick said you will be taking the phone in and out of the mount multiple times a day; if you have to wrestle with it each time, it’s a pain. Mounts that don’t have adjustable swivel heads: In vent mounts, your best scenario is to mount it toward the center console and swivel it to face the driver, this way the driver's side air conditioning vent isn’t blocked. Nick pointed out that in summer, it blocks cool air from hitting the driver and in winter the heat can tax the phone’s battery. Mounts that don’t seem stable: We tried a cigarette lighter mount that has an 8-inch gooseneck to raise it up into the driver’s field of vision. Even with the extension, it’s still too low and causes you to look away. As we drove on the track, it bobbed and shook all over the place. Finally, Nick made the excellent point that whatever mount you buy, make sure you can return it. Since all dashboards are different, even the best mounts may not work in every car for every type of driver.